There's no denying that practicality is the most important characteristic for a kitchen. However, we all want our kitchens to look the part too, so how do you balance functionality with style? This dilemma can be exacerbated when the kitchen needs to be family friendly too. Step in Amy Wilson from @thisstylerocks whose family home demonstrates how you can create totally Instaworthy spaces in a house full of kids and pets. 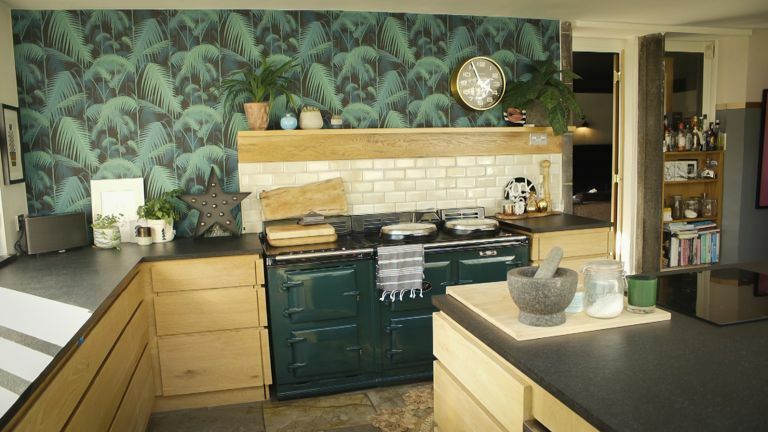 Here, she shows property expert Sian Astley around her fabulous kitchen which was created in a light-filled extension to the Victorian property. Take a look at the fuss-free cabinets she has chosen and her bold use of wallpaper.